Gary Otte is scheduled to be executed by the state of Ohio on Wednesday. In what will likely be one of his last acts, he sent us the following essay. Otte was convicted of shooting and killing two people in the course of robberies in 1992. He was 20 years old at the time of the crime, and reportedly suffered from psychological and developmental problems after drinking and using drugs from a young age. Today, the Ohio Supreme Court rejected Otte’s appeal for a stay of execution. If no higher court intervenes, he will die by lethal injection on September 13. In 2014, Texas inmate Ray Jasper sent us a moving letter summing up his thoughts of justice and empathy just weeks before he was executed. Otte chose to send us this essay, titled “OVERCOMING OUR DRUG EPIDEMIC.” It is reproduced in full below. 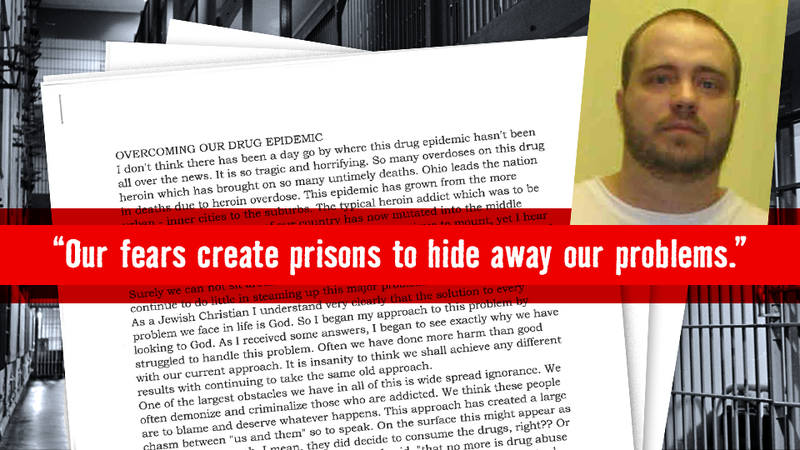 Our past letters from death row inmates can be found here.